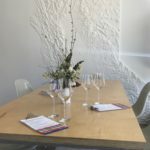 Since 1991, the Family Winemakers of California association has held an annual tasting for the trade and in 1996 they started extending the invitation to consumers as well. This popular event has been at the Festival Pavilion at Fort Mason in San Francisco since 1999. The FWC has also gone “on tour” and there have been tastings in Pasadena and San Diego as well. The Tasting is a great way to support family businesses and/or check out some wineries you may have never heard of before. Be sure to pace yourself, and bring a designated driver or seriously consider spending the night in San Francisco. If you stay in the Fisherman’s Wharf area, the Festival Pavilion is within walking distance.